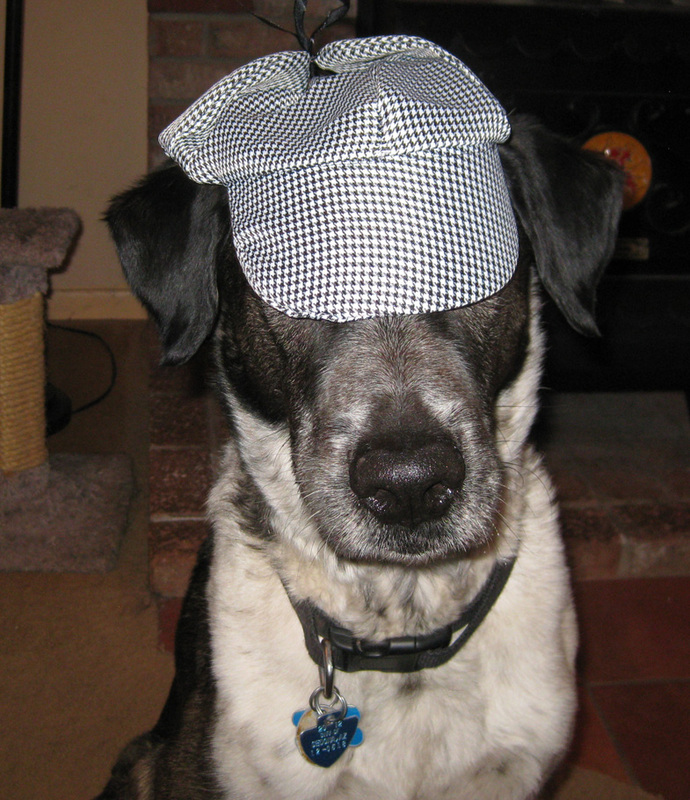 The mystery is getting so deep I’m having trouble keeping my Detective Dog hat on. All week my person has been leaving me and talking about weird animals. I think I should be informed. Is there something crawling up my leg? yikes! Yikes! woof ! grrr! woof! Fredrieka, those things run loose around here in the summer. Come on over and help me chase them away. Oh shiver – those things jump! And do not show it to Molly -she’ll want one as a pet – they scramble around so quickly…and under stuff. Oh, shiver, Bongo! Karen, they might be fun to have as pets. You could bat them around. The cats would probably like it. Marina, I’ve got to convince my person she needs me to come and protect her. Marty, maybe I could cover it with my hat so it can’t run around. *whispers* It might carry your hat away Bongo. Cupcake, what? Where? What am I missing? Yikes! Spider! Looks like tarantula….no? Whose arm is that with the spider? Your person’s? She must be so brave! Kevin, that was some other brave person’s arm with the spider. My person was taking the picture. 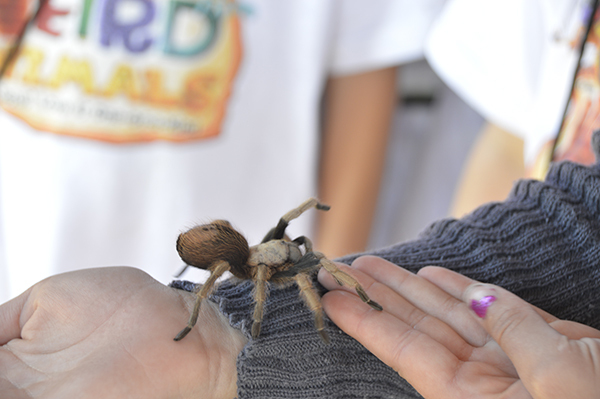 And yes, it is a tarantula. They show up around here every summer. FleaByte, we’d probably have to burn the whole state to get rid of them all. The ones that live here are harmless.